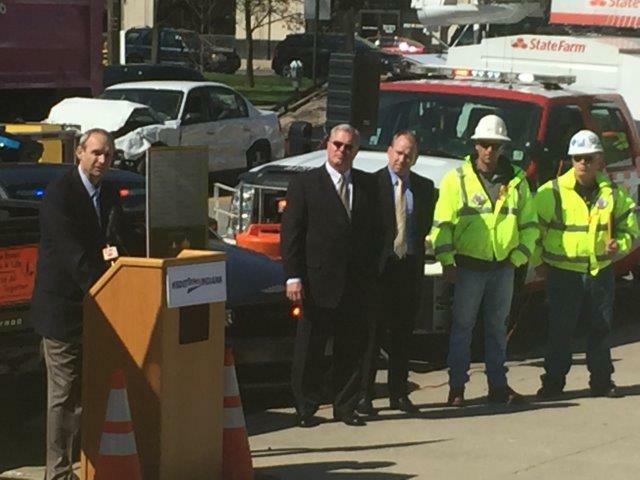 Indiana Brings Strong Safety Message to the Highways with 2016 NWZAW - RoadSafe Traffic Systems, Inc.
National Work Zone Awareness Week (NWZAW) was held April 11th through 15th and Indiana was front and center with its message “Don’t Be That Driver!” A press conference was held in Indianapolis through the combined efforts of the local ATSSA chapter, Indiana DOT, OSHA, State Police and Work Zone Awareness Corporation (WZAC)—a group of prime contractors dedicated to work zone safety. 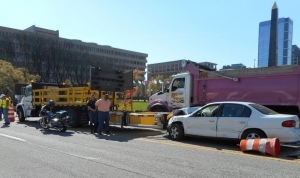 North Street was closed off at the American Legion Mall so a mock work zone crash could be on display. 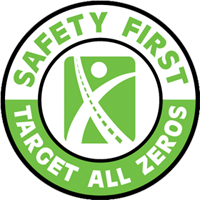 Indianapolis area news media covered the event as speakers from INDOT, OSHA, ATSSA and WZAC took center stage encouraging motorists to focus on distraction free driving. RoadSafe’s Indiana branches and the local ATSSA chapter set up the mock crash scene which included an arresting officer and distracted driver in handcuffs.